You must make reservations at least 5 minutes in advance of the time at Wako Japanese Restaurant. On Valentine’s Day, Wako offers a special menu for $150.00. The seating capacity is 22 guests at a seating. We cannot accept reservation more than 4 guests. The food and service are impeccable!!!! Will definitely be back! Some of the best sushi outside of Japan. Beautiful presentation, fresh and high quality. 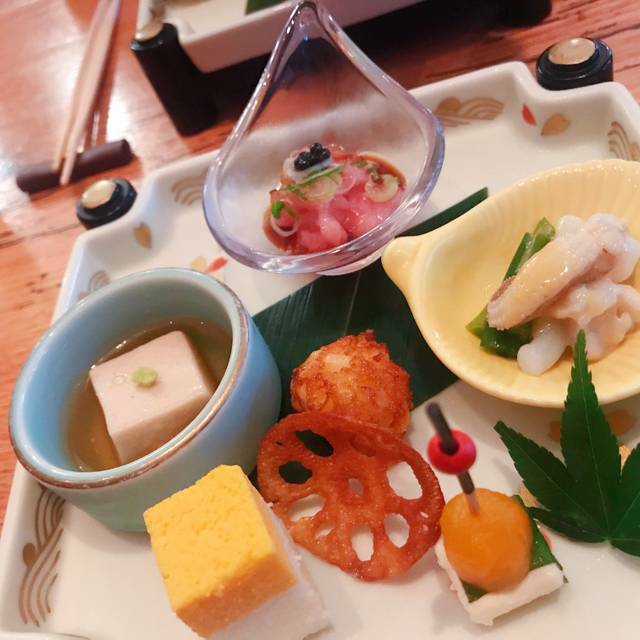 This is the best Japanese restaurant in SF!! The food is delicious and beautiful. The atmosphere is intimate and service is great! I highly recommend Wako! The ambience, service, and food were all fantastic. The servers were very attentive and knowledgeable. For the price of the omakase I was hesitant at the quality of the nigiri but I my expectations were blown out of the water. I would highly recommend this restaurant! Probably the best Japanese food experience and we have had many around the US. Blows away Nobu in NYC and London and Matsuhisa in LA by a long shot. I’m constantly given names of Japanese Restaurants to try. Wako is superior in taste, presentation, and service to every place in SF. The dinner was “memorable” and I have only said that about French Laundry, Quince, Per Se in NYC and Les Ambassadeurs in Paris. Pricey but worth it. Top service experience from staffs and chef. Every course is a piece of art. Quality is exceptional. Highly recommended. My mom and i got the second menu option, which is three courses of a long list of items. A lot of the items were hit or miss. Some were good, like the butterfish nigiri, hamachi nigiri, and cherry blossom dessert. But some were items i was not familiar with and maybe perhaps thats why i didnt enjoy them. The two that specifically come to mind was a piece of sushi made with Japanese mountain pepper. The flavor i would honestly compare to the taste of being maced 😂. The second item i did not enjoy was a piece of raw tuna (nigiri style) that was marinated in jalopeno that i did not enjoy as well. Overall, i feel like the menu items let me down and I was disappointed. I would not reccomend this to a friend. Celebrating birthday and the food is good. This one of our favorite Sushi to go and dine. We made a reservation but couldn't get a bar seat somehow. I don't get why they call it Omakase if they give you a table and serve dishes at once. Overall sushi quality was okay but not worth to be the price. I feel like it's def overpriced. Quality of fish was okay that I couldn't taste much difference. Quality of rice was okay but formed badly. Some sushi rices broke down into pieces. Portion of fish and rice was also not good. 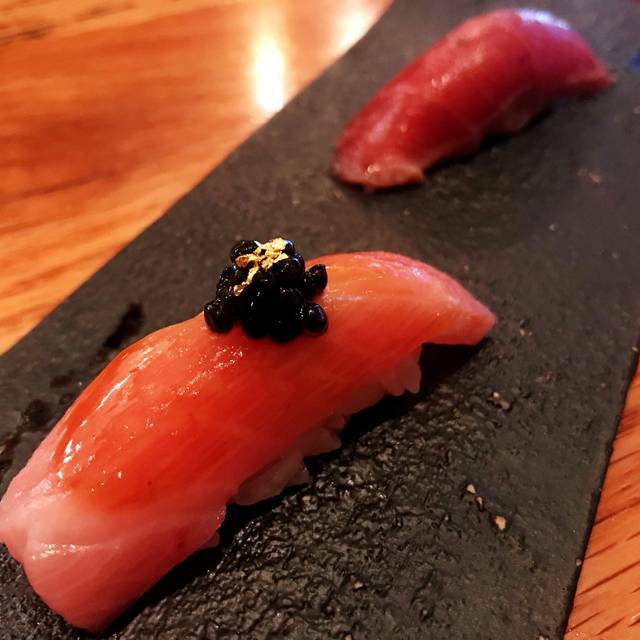 I've tried other Omakase restaurants in SF but I'd put Wako into low scored place in my list. I'd never revisit the place unless they lower price or improve quality. We were extremely pleased at having found this sushi restaurant in San Francisco. We like trying new places whenever we’re in town, and this place is on our return list. First, the decor was lovely: pristine, simple, and elegant. The service was impeccable. The noise level was perfect, allowing us to have a nice conversation between ourselves and with the sushi chef. But let’s not forget why we went, which was to eat. We ordered the Option 2 because we wanted to sample everything. From the first bite to the last, the restaurant delivered. We ate fish that we never would’ve thought or known to order on our own. All was delicately prepared and presented one by one for us to savor. That was the advantage of sitting at the sushi counter. I think that diners at tables got their sushi on a platter instead of one by one. I’m already looking forward to returning here on our next trip. High quality, well-presented food. Efficient and warm service. Strongly recommend. My boyfriend and I visited Wako for his birthday, and the staff was extremely accommodating and moved us to the Sushi bar upon arrival after we requested it. We ordered the long Omakase menu and a bottle of Dassai 23, and the experience was truly incredible. There were so many beautifully crafted pieces of sushi and flavors were delicately balanced in every bite. The night was unforgettable, and we will definitely be back again to enjoy the chef’s creations. Apparently the menu is changed out about 6 or 7 times per year, so I am sure that next time will be another incredible night, but looking forward to the next menu! 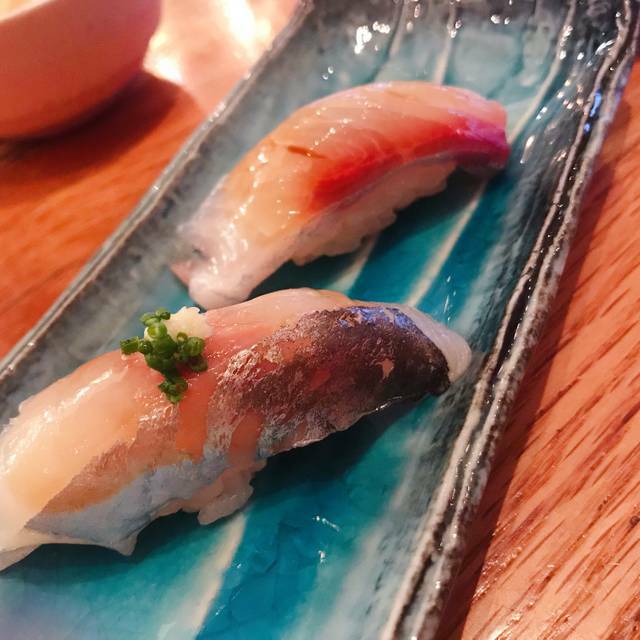 Tomo-san offers a creative yet unpretentious interpretation of a traditional omakase sushi dinner in a friendly and relaxed atmosphere. Outstanding! 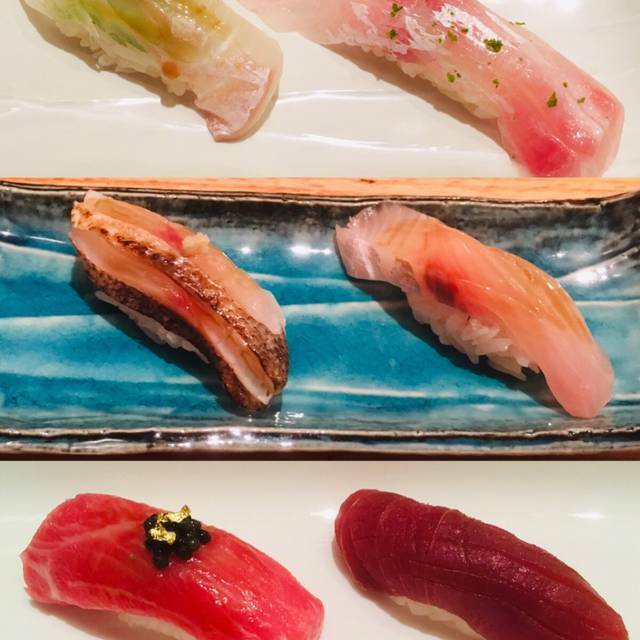 Superior sushi based omakase. The offering oof seven little bites early in the courses was a revelation. We went in with high expectations but were generally underwhelmed. Fish flavor was muted, not much in way of enhancing the taste on most dishes and fish quality was average. Magnificent food - quality, taste, presentation are top-notch. Great food - the chef used different ingredients to bring out great tastes (but never overpowering) without dipping sauces. Wonderful experience. Best sushi in the USA...We have traveled to Japan and Wako ranks right up there with the best sushi that we experienced during our travels. Highly recommended! Dining here is like stepping into a cozy cabin, except that cabin is off the Pacific Ocean where you get the FRESHEST fish and seafood of your life. With a no frills menu, it gives you what you anticipate but the portions, flavors, and presentation bring color into the space. We celebrated a birthday here and the staff very super friendly. Definitely a worthwhile celebration and experience. This restaurant used to be good back when they still have order menu. The set menu has become a waste of money. Especially for the sushi only menu, I feel that the fish are not fresh any more. good value, very smiley and friendly staffs. Love it! Always outstanding food. 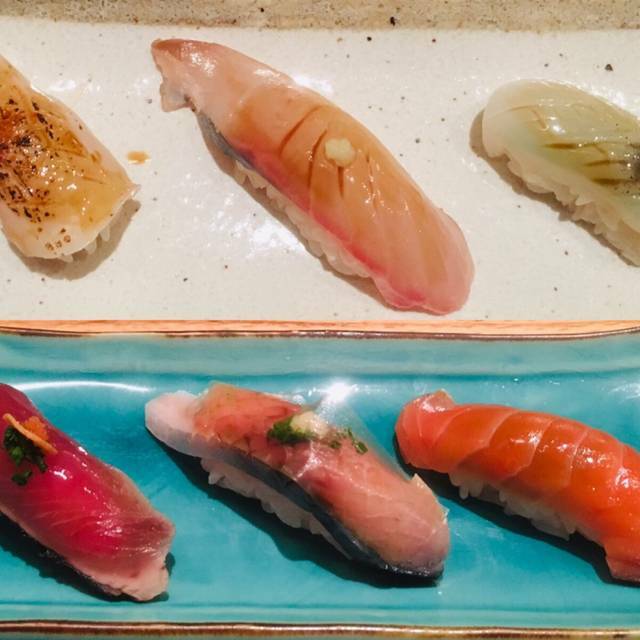 Every bite is a journey into so many surprisingly unique, delicious and balanced flavors, especially the nigiri. Incredible food, especially the sushi. Nice, cozy atmosphere. Chefs are very personable as are the wait staff and front door staff. Definitely deserving of their Michelin star. Best meal I’ve ever had, also the most expensive but it was for our 10 year anniversary. Having just 2 menu options will make the experience super easy for anyone new to Japanese cuisine. My wife and I both ordered #2 - it was a lot of food. I ended up eating a 2.5 combo :). If I did it again, the cheaper #1 (one less round of sushi) would be the perfect amount. Even though it was fancy for us, it felt laid back and unintimidating. Best sushi and Japanese cuisine I've ever had. 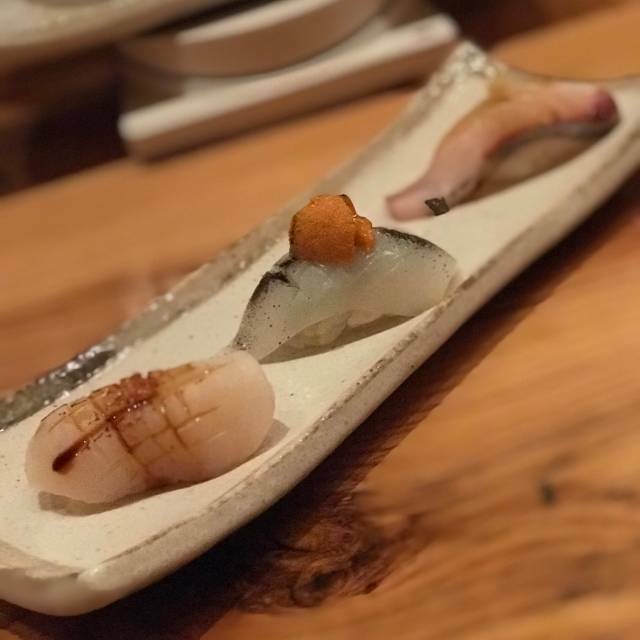 The fish was extremely fresh, and each nigiri was prepared with thoughtful, various embellishments in each bite. The tofu, homemade miso cream cheese, and eggplant appetizers (among others) were amazing. For a tasting menu, it left us feeling very satisfied; we were not bulging out of our waistbands, but happily filled with scrumptious fare that kept on coming at an even and lovely pace throughout the evening. The chefs are very friendly and the staff discreet and cheerful. Awesome! All the food were delicious. We have dined at Wako a number of times. It was a far better restaurant in the days one was able to order a la carte. Now one is obliged to take a multi-course omakase dinner. The portions are small and vary between good and unimpressive. Most of all, it is hugely overpriced. On this last visit our waitress was Mongolian rather than Japanese and we couldn't understand a word she was saying. In other words, it ain't what it used to be. We won't be back. 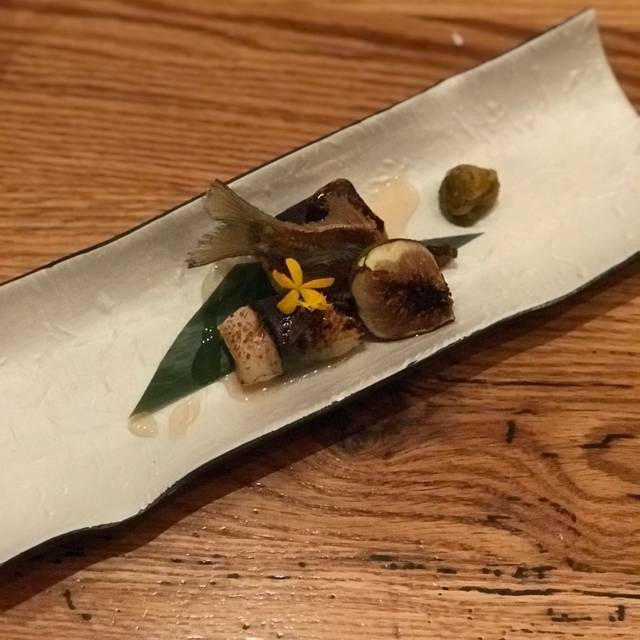 This was my first omakase experience and it was a gem! Delectable, creative, and very friendly staff. A well deserved Michelin star. This was my third time at wako, and I have yet to be disappointed. Food is incredible, service is friendly and pleasant, and ambiance is simple. 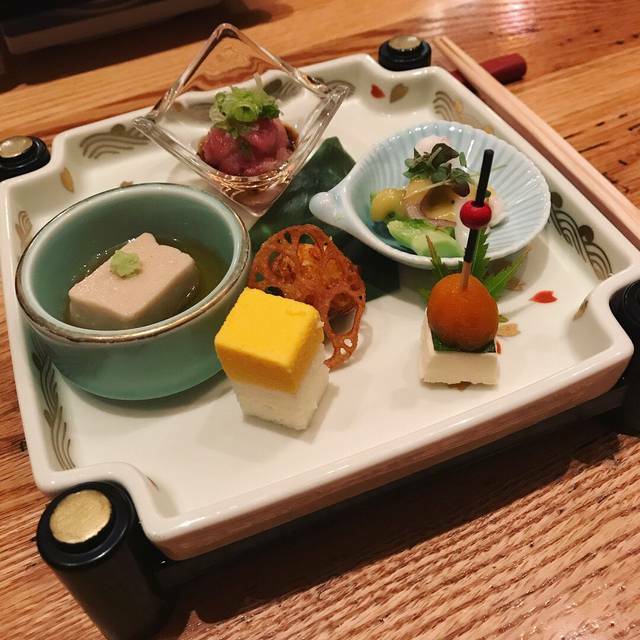 For the cost of a $95 tasting menu that includes 10 pieces of sushi from a Michelin star restaurant, this is a great value and wonderful experience. Will be returning! It was a wonderful experience!! The food presentation was outstanding and the food was delicious! By far, the best Japanese restaurant I have ever had in San Francisco. Excellent food quality, attentive service and cozy setting. Very pleasant experience and satisfied. 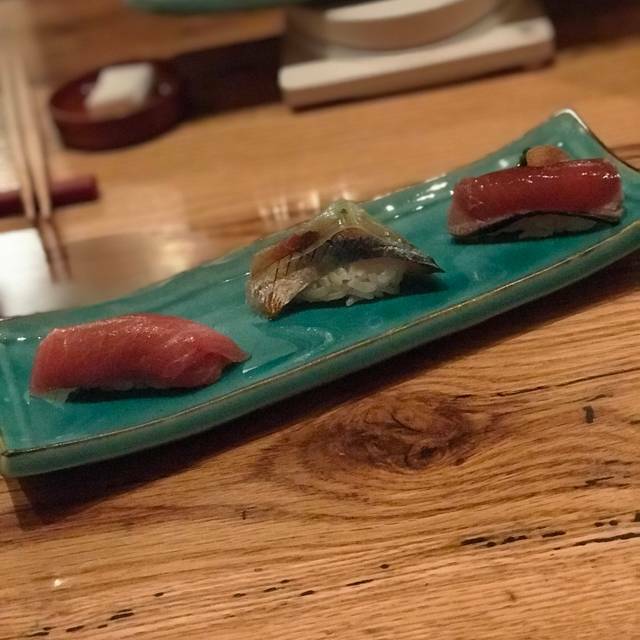 Was traveling from LA and wanted to try a nice Michelin Omakase. After doing some research, came across this place. The service and staff were amazing, however the food left much to be desired. I’ve had better sushi at random local places in LA that didn’t cost close to 135$ pp. The best thing on the menu was the dessert. To be honest, I’m not even sure how they are Michelin rated. Maybe the menu they had when the critics came in was way better than what they served us but I was disappointed and felt a bit ripped off when we left. I would hate this review to ruin their business in anyway but if you’re charging close to 150$ pp, you really need to step your game up. Tomo is the best!! Love him and everything about that fantastic evening.